3. What To Do If You Forgot to File Taxes? 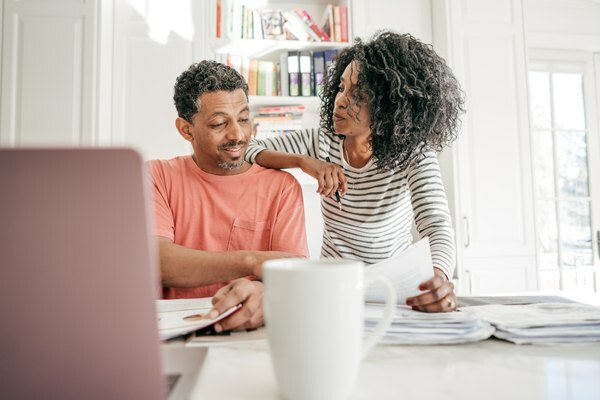 Between not enjoying filing your taxes and people’s tendencies to procrastinate, it’s not surprising that the tax filing deadline can sneak up on you before you’ve gotten your tax return prepared. But, before you panic, the Internal Revenue Service allows all taxpayers to request up to six months to finish filing their taxes and in some cases, even automatically grants an extension past the normal tax filing deadline. Knowing how to request a tax extension helps you avoid late filing penalties and interest on the tax you owe. All taxpayers are entitled to a six-month extension of the time to file their tax return. However, this extension is only for filing the return, not for the time to pay any taxes due. The deadline for filing your taxes is typically April 15 of the next year after the year that you’re filing taxes for. For example, most taxpayers will need to file their tax returns for the 2018 tax year by April 15, 2019. However, if April 15 falls on a weekend or holiday, the deadline is pushed back until the next non-holiday weekday. For example, 2017 tax year returns weren’t due until April 17, 2018, because April 15 was a Sunday and April 16 was a holiday in Washington, D.C. Most taxpayers use the calendar year as their accounting period for the purpose of filing taxes. But, if you are a fiscal-year filer and don’t use the calendar year for determining your taxes, your tax return is due on the 15th day of the fourth month after your tax year ends. For example, if your fiscal year ends on June 30, your tax return would be due Oct. 15. Your tax return is considered timely filed if it is mailed in a properly addressed envelope that has sufficient postage and is postmarked on or before the due date. If you use registered mail, you can use the registration date at the postmark date. The IRS considers the certified mail receipt as sufficient evidence that the return was delivered. If you send the return by a private mail carrier, such as UPS, FedEx, or DHL, you can use the postmark date used by that delivery service as when you mailed your return. If you electronically file your tax return, your return is considered filed on time if the electronic postmark is before the due date. The postmark is determined based on the time in your time zone, rather than the time zone of the IRS computer receiving your electronically filed return. If you don’t file your tax return on time, the IRS imposes penalties for not submitting your return on time. The penalty is based on the amount of tax owed while the return is outstanding. Typically, the penalty is 5 percent of the unpaid tax per month or part of a month, capped at a maximum penalty of 25 percent. But, if you’re fraudulently not filing your return, the penalty is 15 percent per month, up to a maximum of 75 percent. When your return is more than 60 days late, the minimum penalty is the smaller of $210 or 100 percent of the tax owed. These penalties are all based on you owing tax when the return is due. If you are entitled to a refund, you won’t owe a late filing penalty because you don’t owe any taxes. But, if you’re going to rely on getting a refund as the reason for not owing penalties, make sure you will be getting one. If it turns out you owe taxes, you’ll have to pay interest and, potentially, penalties. If you can’t file your tax return prior to the filing deadline for the year, you can request an extension of time to file your return. The extension is good for six months and it’s automatically accepted, so you can’t have your initial IRS extension request rejected. However, you must request the extension of time to file prior to your filing deadline, otherwise your return will be considered late. For example, if you wake up on April 20 and realize you still haven’t filed your return, it’s too late to go back and ask the IRS for an extension of time to file. You can use one of three methods to request the extension to file your taxes. First, you can complete a paper copy of IRS Form 4868 to request your extension. If you expect to owe money when you file your return, you should also make an estimated payment along with your Form 4868 to avoid additional interest and penalties from accruing. When including a check, make the check out to United States Treasury. Your check should note the tax year, Form 4868, Social Security number and daytime phone number on it. If you prefer to file electronically, you can complete and submit an electronic Form 4868. This form is available in electronic format in tax software as well as from the IRS Free File and Free Fillable Forms databases on the IRS website. You can also submit an estimated tax payment along with your electronic Form 4868 if owed. Finally, you receive the guaranteed six-month extension to file your taxes when you pay all or any part of your estimated tax liability by credit card, debit card or direct transfer from a bank account. When you make this payment, you do not have to file a separate Form 4868. In case the IRS ever questions whether or not you filed for an income tax extension, you should keep a copy of the Form 4868 that you completed and submitted to request the extension. If you are making a payment through the IRS Direct Pay, the Electronic Federal Tax Payment System (EFTPS) or by debit or credit card as the method to request an extension, you don’t need to file Form 4868 in paper or online. Instead, select “Form 4868” when you make the electronic payment as the payment type and the IRS will treat that as requesting an extension. You should, however, keep the payment confirmation as your proof that you paid and extended the filing deadline for your taxes. There are limited scenarioes in which you may have your tax filing deadline extended automatically with no need to file an extension. First, if you meet the requirements to be considered living out of the country, you receive an automatic two-month extension. To qualify, you must be a U.S. citizen or U.S. resident and on the date your return is due, you must be living outside of the United States and Puerto Rico, and your main place of business or employment must also be outside of the United State and Puerto Rico, or you are serving in the military or Navy and on duty outside of the United States and Puerto Rico. For example, say that you are still a U.S. citizen but your company has you stationed in Peru for the year so that you’re out of the country when your tax return is due. You automatically have an extra two months to file your income tax return. If you’re married, only one spouse needs to meet the requirements for a joint return to qualify for this automatic extension. However, if you file separate returns, the two-month extension only applies to the spouse who meets the requirements – or if both spouses qualify, then both spouses receive the extension. When you file your return, attach a statement explaining why you qualified for the automatic extension. You also receive an automatic extension to file your income taxes if you are serving in a combat zone. This is the only extension that includes an extension of the time to pay any tax due – all other extensions only extend the time to file the tax return. You qualify as “serving” if you are in the military as well as if you are serving on a boat under the operational control of the U.S. Department of Defense, working for the Red Cross, as an accredited correspondent or if you’re a civilian under the direction of the military while supporting the military. Active combat zones as of the end of 2017 include the Arabian peninsula area, the Kosovo area and the Afghanistan area. If you qualify, the deadline for filing and paying your taxes, or claiming a refund, is extended to 180 days after the last day you were in a combat zone, the last day your area qualifies as a combat zone or the last day of any continuous qualified hospitalization for injuries sustained while serving in the combat zone. Your deadline for filing is further extended by the amount of time you had remaining to file when you entered the combat zone. For example, if you entered the combat zone on March 15, you still had 31 days to file your taxes. When you return, your extension continues for 211 days after you get back. All of the extensions except for the combat zone extension are merely extensions of time to file your income tax return, but they do not extend when the payment of your taxes is actually due. As a result, you should estimate your tax liability as best you can. If you expect to owe taxes, you should make an estimated payment when you request your extension. For example, say you’re waiting on a tax form or two before you can officially file, but you expect that you’ll owe about $1,500 when you file your return. You should pay $1,500, or even a little more to be safe, when you request your extension. If you overpay, you’ll receive the excess back when you eventually complete your return. If you don’t pay your taxes on time, even if you receive an extension to file, you will owe interest and potentially penalties when you do eventually file that will increase what you owe. Typically, a penalty equal to 0.5 percent of the unpaid taxes accrues each month or part of a month that your payment is late. For example, if you owe $5,000 and you’re 40 days late paying it, you will usually owe a 1 percent penalty, or $50, on top of interest on the tax debt. If you’ve filed for an extension, you can avoid penalties if you have paid in at least 90 percent of what you owe by the original due date. For example, say your total tax liability for the year is at $10,000. If your total taxes paid in, such as tax withholding and any payment you made when you extended your time to file, is at least $9,000, you’ll still be charged interest on the unpaid amount until you pay it with your final return, but you won’t owe any additional penalties. IRS: Need an Extension of Time to File Taxes?